I’m very cautious about who has access to me lately. 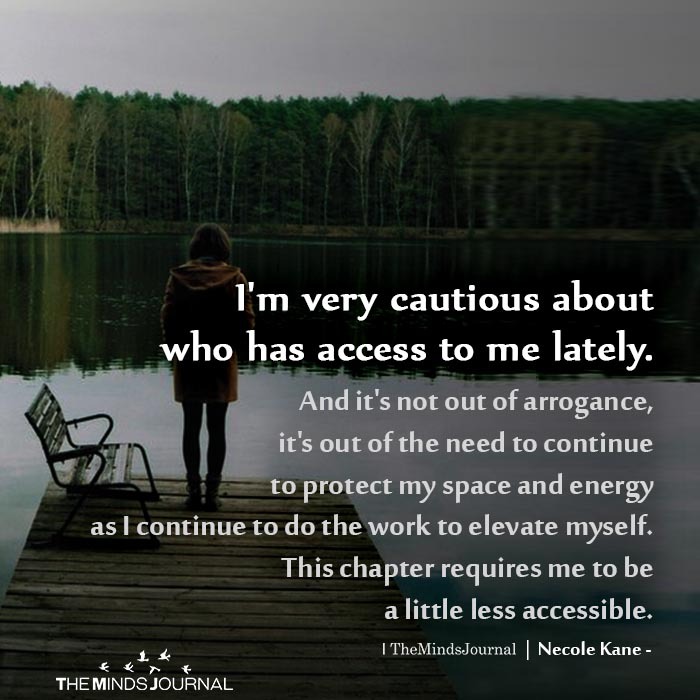 And it’s not out of arrogance, it’s out of the need to continue to protect my space and energy as I continue to do the work to elevate myself. This chapter requires me to be a little less accessible.